"On behalf of the Dallas International Dyslexia Association, we can not say how fortunate we feel to have had the opportunity to partner with KSimon Photography. Kimberly Simon was quite thorough and meticulous with each candid photo, headshot, and not to mention our 2018-2019 board group shot, which turned out beautifully and far exceeded my expectations. Kimberly's professionalism and expertise are top-notch and her mere presence is so warm and inviting that you will instantly feel comfortable with her behind the lens. Kimberly is highly flexible, quick, energetic and asked for feedback and approval during the individual headshot session. It was clear that the client's happiness was a top priority for her. In addition, she put together and donated a custom photography package for the Dallas IDA to include as one of our prize drawings during our 2018 Conference, and proceeds from this one-of-a-kind prize went towards our Scholarship Fund. Dallas International Dyslexia Association is tremendously grateful for everything that KSimon Photography contributed to our success and that of our deserving scholarship recipients. I would highly encourage anyone seeking professional photography shots in any capacity to reach out to Ms. Kimberly Simon and her team. She is quite creative, versatile, and eager to meet her clients' needs. I am beyond grateful to have had the opportunity to work with her, and I look forward to working with her again in the very near future! Thank you so much, KSimon Photography! Your kindness and compassion are only testaments to the beautiful shots you carefully capture for your clients!" 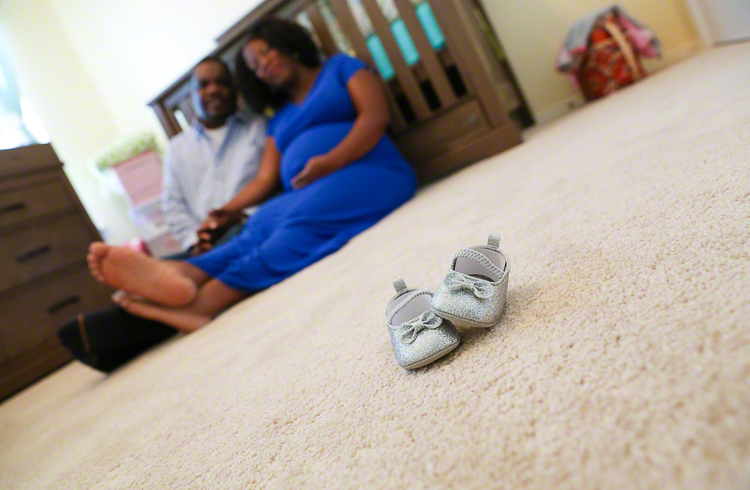 "We trusted Kimberly with our maternity photo session - and she was WONDERFUL!! She took great care and took absolutely beautiful photos during our session! And the finished results were no less spectacular! If you want a true professional - who does AMAZING work, then this is your photographer!!" "I am Nijia Britt, hair stylist and makeup artist. I refer all of my clients to Kim. We have worked on numerous projects together. She is prompt and on-time. She is diligent in her attention to detail. Her photography style is breathtaking. She puts in lots of time and effort editing photos to ensure her clients get the quality of work they desire. Kim is also a pleasure to work with. She's very accommodating and always has great, innovative ideas." "Kim was absolutely great. I was not sure what to expect but she instantly made me feel comfortable. Her studio was very nice and had great decor. My pictures turned out great. Excellent job! Highly recommended!" "Kimberly is the impeccable photography professional who takes pride in every shot she gets. Her approach is strategic and at the end of the day, she delivers the goods. Love her!" "Thank you Kimberly! So grateful for you, what you've done for me, and you making me feel beautiful!" "Kimberly Simon is extremely professional and took wonderful pictures of the board and conference of the Dallas Branch of the International Dyslexia Association! We are so thankful to have these high quality photos to post!" "We absolutely love the way you made our products 'pop'. You are such a great photographer! If anyone needs product photography, KSimon is your woman. She is the best. If you need a highly skilled, versatile photographer, KSimon is your one-stop shop. She can truly do it all!!!" "Love love love the pictures!!!!!!" "Dear Kimberly: your generous gifts, donations, and acts of service will be engrained in our hearts and minds forever, ever! Thank you for partnering with Dallas IDA to capture those special moments from our 2018 Regional Dyslexia Conference. We are overwhelmed with gratitude!" "Words cannot express the experience I had during this shoot. It was as if I had an outer body experience. My eyes were opened to a whole different me. Kimberly, I'm still like WOW! Thank you for taking me there!" "You did a great job! The pictures look absolutely beautiful!" "A special thanks to KSimon Photography, LLC for your professional service. The photo shoot was a fun experience!" “Absolutely loved my session with Kimberly. She did a fantastic job of capturing an amazing moment in my life, motherhood. And I can't thank enough my amazing best friend Courtney for surprising me with this photo session. Thank you both. Still one of my favorite days!" FOR LATEST NEWS, CLIENT FEATURES, & MORE, VISIT OUR BLOG!